Entrepreneurial Passion and the Science of Startups - SKMurphy, Inc. Successful entrepreneurs have a passion to see their inventions adopted as innovations not admired as works of art. This is the science of startups. Q: How does taking a scientific approach to your startup allow you to feel passion for the product you are building. It would seem to place you in the position of taking orders from the customer: there is a quote by Henry Ford “If I asked the customer what to do, he would have asked for a faster horse carriage.” How can you unlock the ingenuity of your team testing hypotheses? A: The Ford quote, although frequently written about is almost certainly false. 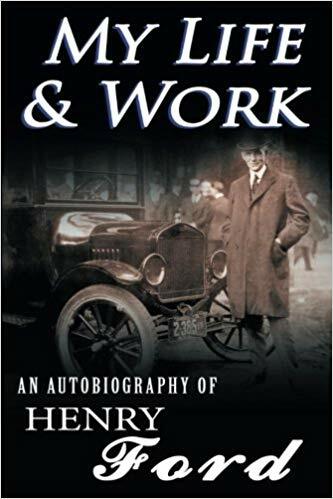 Even before that time I had the idea of making some kind of a light steam car that would take the place of horses–more especially, however, as a tractor to attend to the excessively hard labor of ploughing. It occurred to me, as I remember somewhat vaguely, that precisely the same idea might be applied to a carriage or a wagon on the road. A horseless carriage was a common idea. People had been talking about carriages without horses for many years back–in fact, ever since the steam engine was invented–but the idea of the carriage at first did not seem so practical to me as the idea of an engine to do the harder farm work, and of all the work on the farm ploughing was the hardest. Our roads were poor and we had not the habit of getting around. One of the most remarkable features of the automobile on the farm is the way that it has broadened the farmer’s life. We simply took for granted that unless the errand were urgent we would not go to town, and I think we rarely made more than a trip a week. In bad weather we did not go even that often. If you want customers to adopt your offering you have to talk to them in the context of their current operating reality. Why do we measure electric lights in candlepower and electric motors in horsepower? Because that’s what they were replacing. Successful entrepreneurs have a passion to see their inventions adopted as innovations not admired as works of art. That means that they have to appreciate the customer’s needs and their world view.